The Crawford Fund is proud to announce two of our group that were recently honoured in University of Queensland Alumni Awards. 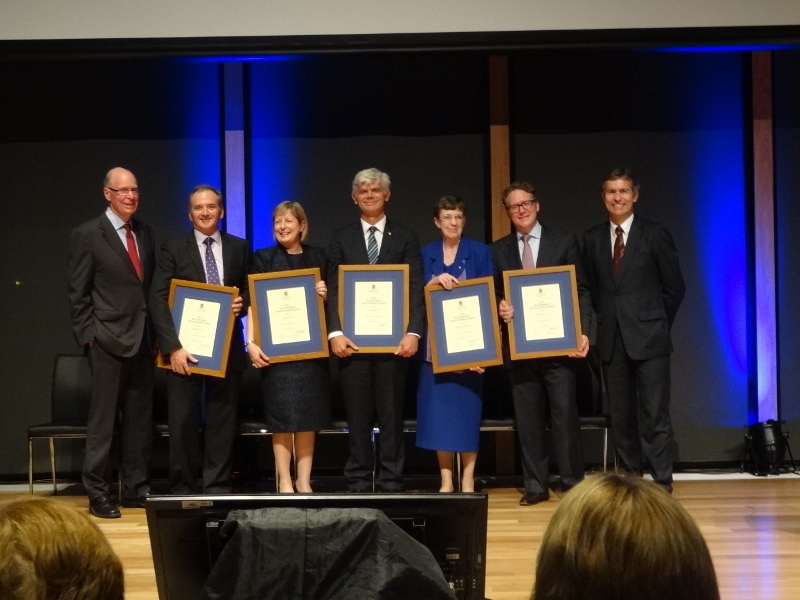 Dr Sallyanne Atkinson AO, former Board member and now Queensland Committee member, received the Alumnus of the Year award and Dr Gabrielle Persley AM, our research project director, received a Vice-Chancellor’s Alumni Excellence Award. Sallyanne retired from her position as board member earlier this year but continues to serve on the Fund’s Queensland Committee. She has a longstanding connection with UQ, being President of UQ’s Women’s College Council and Chairman of the Advisory Board of the Queensland Brain Institute. Sallyanne received her award by Alumni Friends of The University of Queensland Inc. and Gabrielle’s award recognises her significant contributions in local communities and beyond. 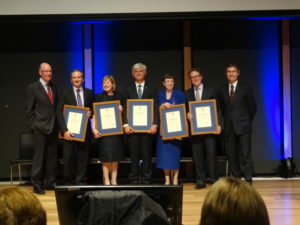 As explained by the University of Queensland’s awards announcements, Gabrielle’s distinguished career in international agricultural research and food security includes involvement both as a researcher, and as a senior leader, at some of the world’s leading agricultural and biotechnical agencies. Having worked with the World Bank in Washington, the Australian Government’s overseas aid agencies, the International Service for National Agricultural Research based in The Hague, and the International Council for Science in Paris, Persley has forged strong links between the Australian and international biotechnology, science and development communities. A passionate advocate of the importance of science and technology in developing countries, Persley was a key player in a team of African and international scientists and investors who established Biosciences eastern and central Africa (BecA), at ILRI in Nairobi, as a centre for excellence that is open to African and international scientists, including Australian scientists, who are working together to improve crop and livestock productivity and sustainability in African agriculture and food security. Gabrielle is currently working on the next “Research Brief” for the Fund focused on Mining on Agriculture, and another on Demand-Led Research.